Happy Friday every one! It's Michelle from Purple Monkey Moments. I have a super cute card to share with you today. 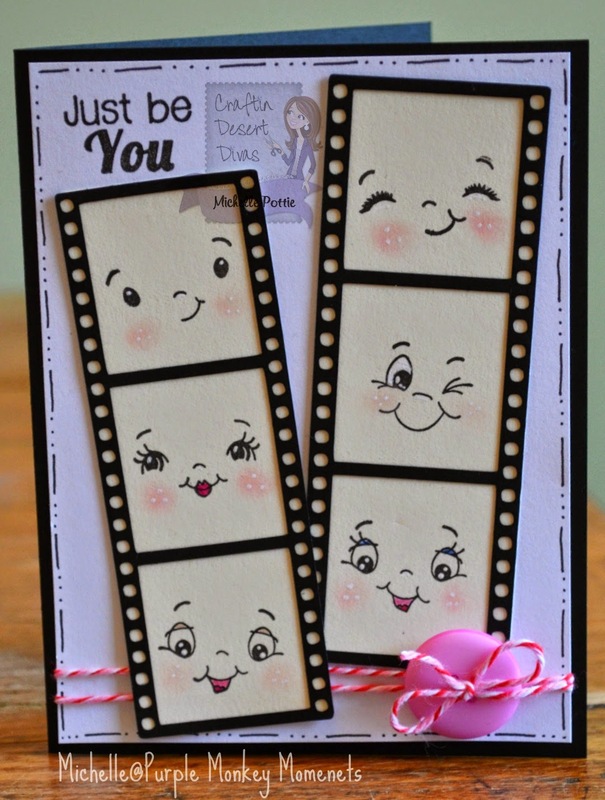 I used Tara's amazing Be Inspired stamp set to create this card. 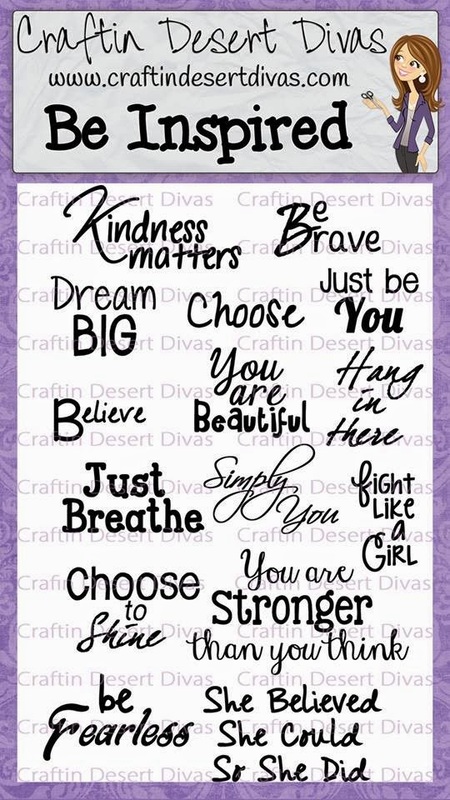 You can buy your own at the Craftin Desert Divas Store HERE. Below is a close up of my sentiment, so you can see just how perfect the font is. 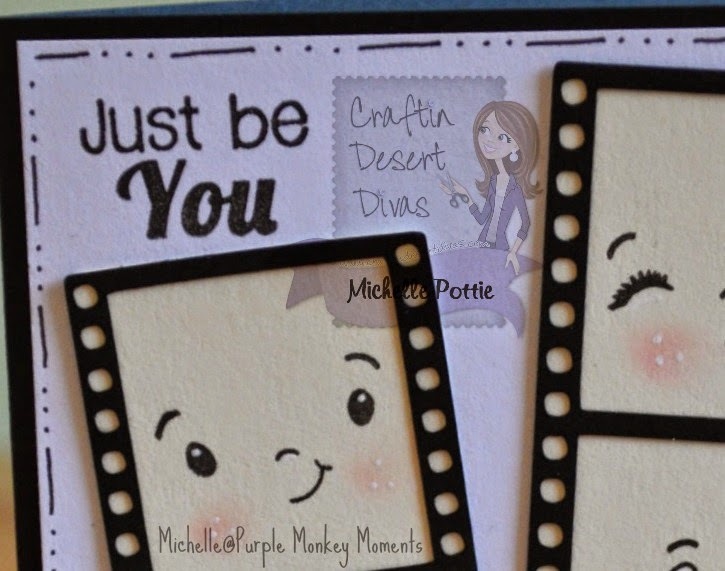 Below is a picture of the Be Inspired stamp set. It has so many great sentiments on it! This card is so adorable!! I love it!! Great Job! Hi Tara, do you have a stamp for the faces, or did you draw them on ? This is so creative and adorable!! I just love it!! What a fun card!! OMGosh this is sooooo CUTE. Thanks so much for sharing. Love the design! The PK faces are all adorable!